These are the recipes that you must cook at least once in your life Internationally acclaimed chef Josh Emmett has selected the most beloved and iconic dishes from the past fifty years to create the ultimate cooking companion for the home cook. 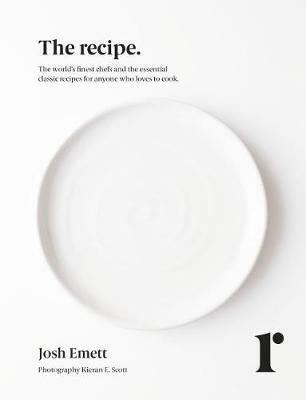 Over three hundred time honoured and classic recipes from 150 of the world's finest chefs and cooks - Gordon Ramsay, Ruth Rogers, Rick Stein, Angela Hartnett, Anne-Sophie Pic, Peter Gordon and many more - are painstakingly recreated by Emmett and Photographed beautifully by Kieran E. Scott. Divided into nine detailed sections ranging from staples, soups, salads and vegetables to the key protein groups, baking and desserts, each recipe is accompanied by Emmett's personal guide. Critically acclaimed chef Josh Emett has worked with Gordon Ramsay and Marcus Wareing, been a guest judge on the US edition of Hell's Kitchen , is a MasterChef NZ and owns a number of highly ranked NZ restaurants. Kieran Scott is considered one of NZ's finest photographers. His work has appeared in many of the world's leading magazines including Conde Nast Traveler and Vogue. His last book was 200 Women .